Put this one together on the fly. Turned out to be a real crowd pleaser! 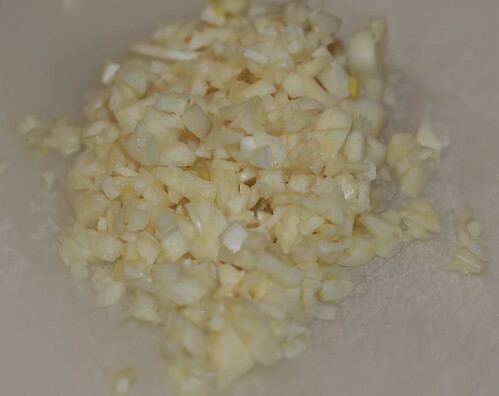 BTW, is it just me or is there nothing better than the smell of fresh chopped garlic? In a medium sauce pan melt butter, add oil. Saute garlic and basil. Then, whisk in sour cream. 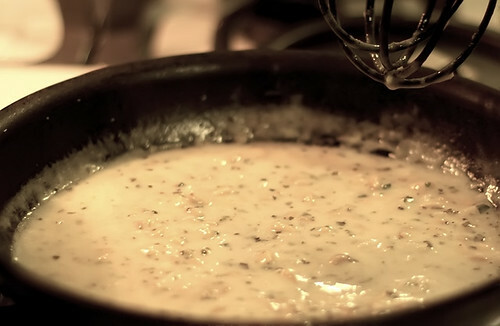 Add wine and reduce slightly until creamy texture desired is reached. Don’t overdo it! (I sound like my Mother, don’t I?) Add salt and pepper to taste. 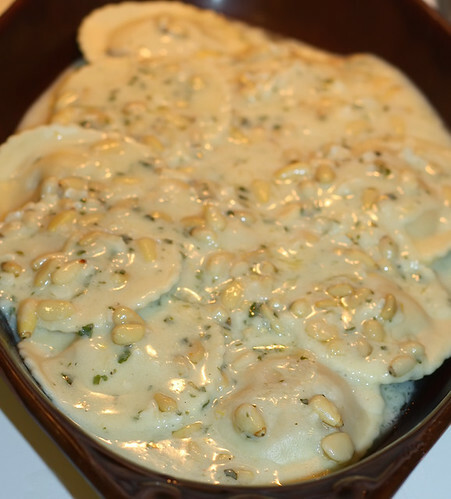 Stir in pine nuts until warmed – about a minute. Serve over ravioli or fettucini noodles. Pictured here with Florentyna’s Fall Harvest Squash Round Ravioli. This entry was posted on December 28, 2009 at 5:55 AM	and is filed under Italian, Rubs, Sauces, Marinades & Dressings, Vegetarian. Tagged: basil, cooking, food, garlic, pine nuts, sauce. You can follow any responses to this entry through the RSS 2.0 feed. You can leave a response, or trackback from your own site. Pasta is one of my weak points. This one sounds good! Thank you, Viviane! It’s a warm and filling dish on a cold Winter’s day. Yeah I am tempted to try it, but I need to find out where I can get sour cream in Lebanon! If you can’t find sour cream, go ahead and use heavy cream. You may have to adjust the amount a bit, but it should work just fine. Yeah, that was my thinking, too. 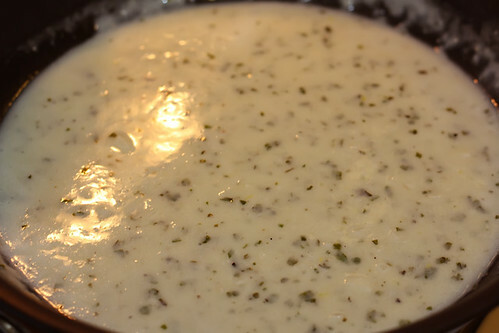 Glad you have a source for some Sour Cream … I think you might like this recipe. YUM! Thanks for this great, quick recipe. I added a bit of heavy cream, goat cheese, and a splash of lemon juice. Delicious! Thanks, Natalie! I would have used heavy cream as well, but I was trying to make it a little lighter/healthier. Hence, the use of sour cream (lite SC, at that!). But, what you did with it sounds incredible!